Applying to a business school has become popular in the last decade. MBAs open the way to a prospective career, and, let’s say it, high-paid jobs. Writing a MBA admissions essay is a process not that different from writing an admissions essay for college. At any rate, it still has its own peculiarities and requirements; for instance, you should write on a more particular topic, in contrast with the general type of admission essay. What you need to know at the beginning is that you should present yourself correctly, adequately, and with self-confidence. Correctly, for you must give only true information about yourself; adequately, because you need to choose what is relevant, and what is not; and with self-confidence, for this is one of the personal features you need in order to impress the selection committee. 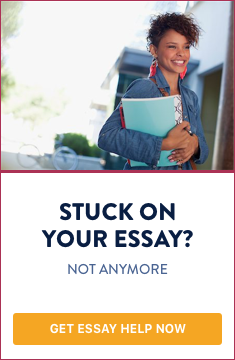 However, your admission essay must not contain thoughts indicating too much of self-esteem. You should keep in mind also that sometimes even the best applicants (according to the objective criteria) are rejected, so nothing in this life is absolutely certain, let alone the admission to your favorite MBA program. 1. Usually, you need to write on a few topics given by the particular institution. They could be related to your past achievements or failures, your future career plans, your personal skills and competencies, and so forth. Since MBA admissions essays are focused on particular topics, you need to elaborate your paper consistently, without going astray. This is the main difference between a MBA admissions essay and a general admission essay. 2. If it is possible, choose the topics that present some of your most distinctive capacities or skills. For example, a topic like “How would you adhere to your professional ethics?” should be related to your knowledge in the field of business ethics, and also some situations you associate with this issue. If you cannot remember such a situation, it is advisable not to write on the topic in question: write only about real-life situations. 3. Write from a personal point of view: what you feel and what you think. Of course, do not go too far in this direction - your admission essay is not a confession letter. 4. Put stress on the positive dimensions of every situation that you describe. You should demonstrate your optimism and also will to find a way out even from the worst possible situation. 5. Show you can be a leader, and that you have experience as such. Be careful: leadership is not manifested by commanding or giving instructions. To be a leader means to predict the development of various processes in the long-run, know what to do and when exactly, and also bring together and encourage your team. Regarding the structure of the essay - it is better to write not more than a page and a half; this is so because the more information you expose, the less there’s a chance to be clear and concise. Good ideas can be expressed in a sentence or two. An ideal admission essay will be one standard page long containing five or six paragraphs. An ideal admission essay will be 1 standard page long containing 5 or 6 paragraphs. 7. Always keep in mind the fact that you will have an interview with the committee. For that reason it is strongly recommended not to employ anyone else’s ideas or personal stories, but you should rather refer to your own ones. Hence, never write anything which you would not be able to explain while speaking with the admission committee members. A MBA admissions essay requires from you not only to show your knowledge in the field of business, but also to demonstrate your personal skills and capacities such as economical, social, cultural, and so on. If you are still not sure about how to write a MBA admissions essay, you can ask some friends that have passed the whole process; however, do keep our instructions in mind.